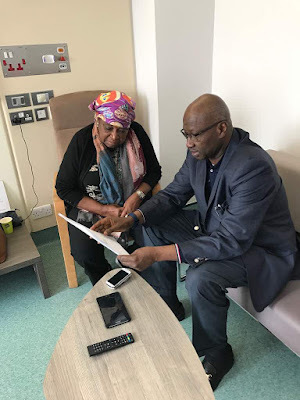 The Secretary to the Government of the Federation, SGF, Boss Mustapha, has conveyed President Muhammadu Buhari’s goodwill message to former Vice-President, Alex Ekwueme, in a London hospital. 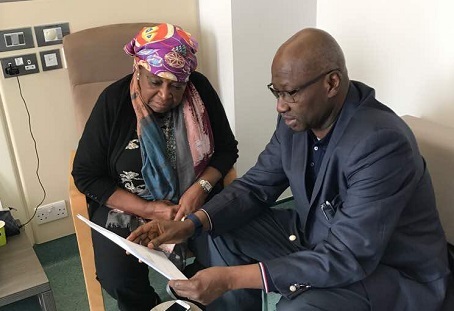 The SGF, who was in London before Mr. Ekwueme’s arrival, was received by his spouse, Helen Ekwueme, on behalf of the Ekwueme family. Mr. Mustapha told the Ekwueme family that the president and all Nigerians are praying for the speedy recovery of the elder statesman, adding that he believed that the doctors were doing their best.